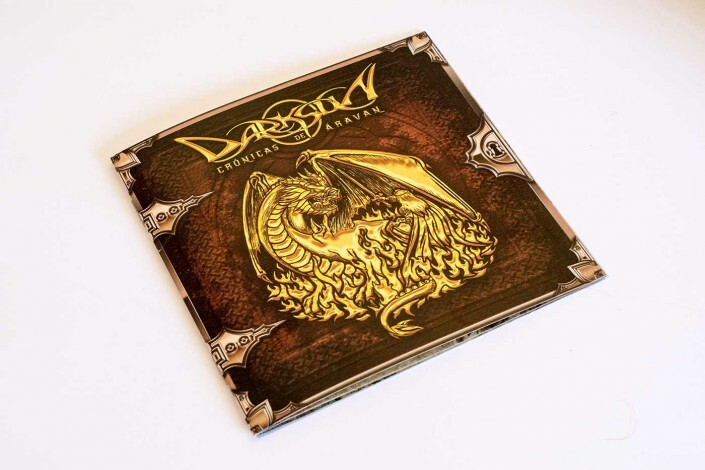 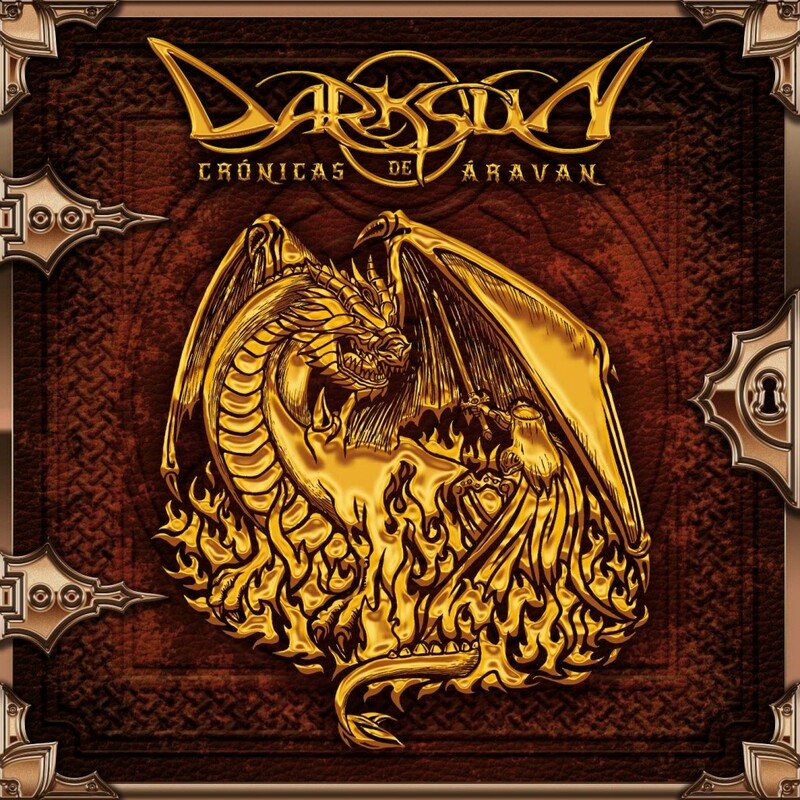 Album cover and design for spanish power metal band Darksun’s brand new album: Chronicles of Áravan, a compilation of its best songs of their three first albums. Also promotional posters, web site, merchandising and t-shirts were designed with the Chronicles of Aravan theme. 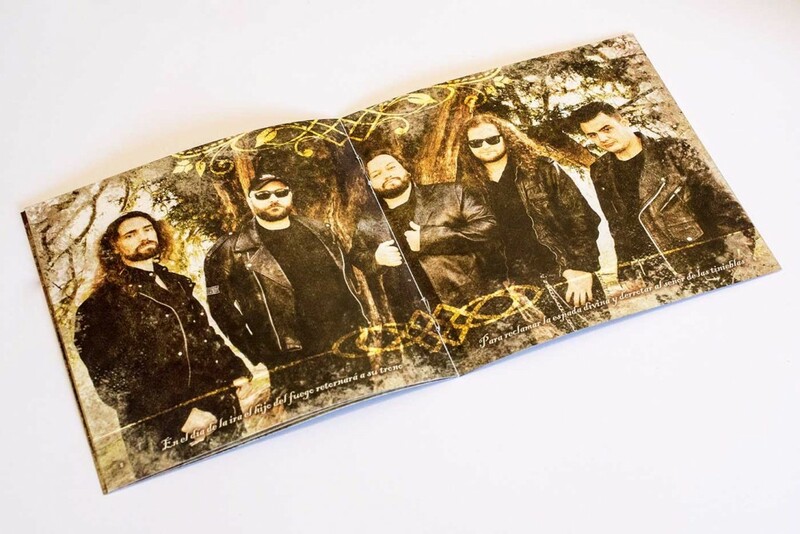 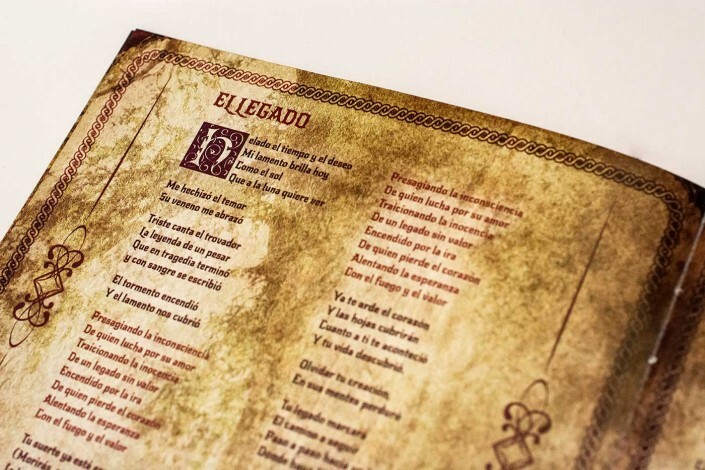 Original idea was to recreate a medieval codex book as the design of the album’s artwork. 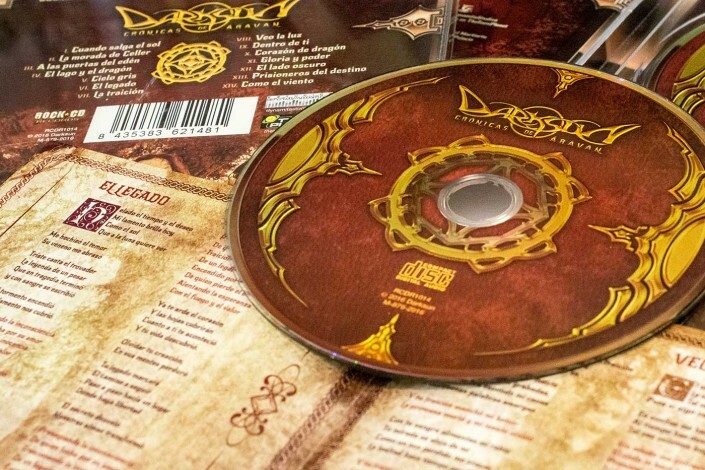 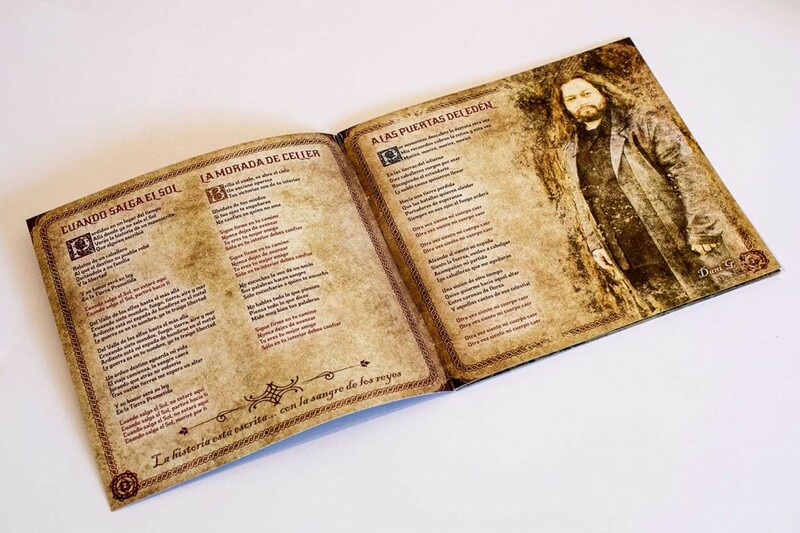 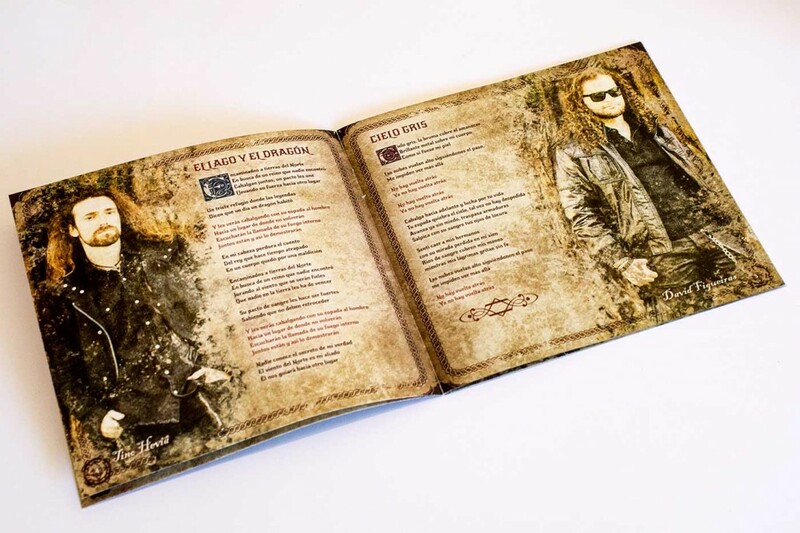 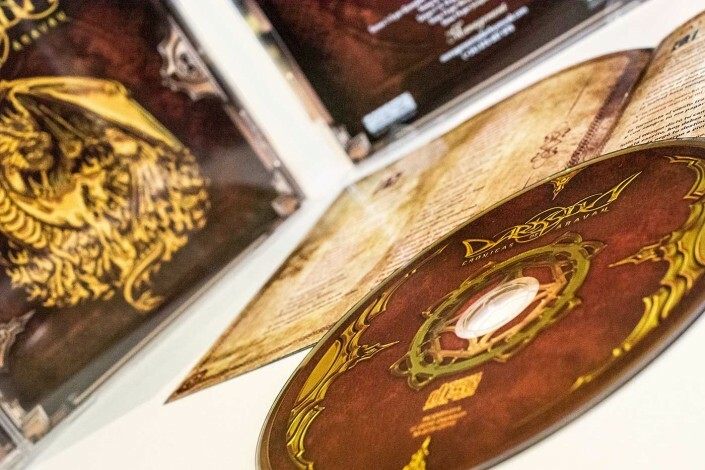 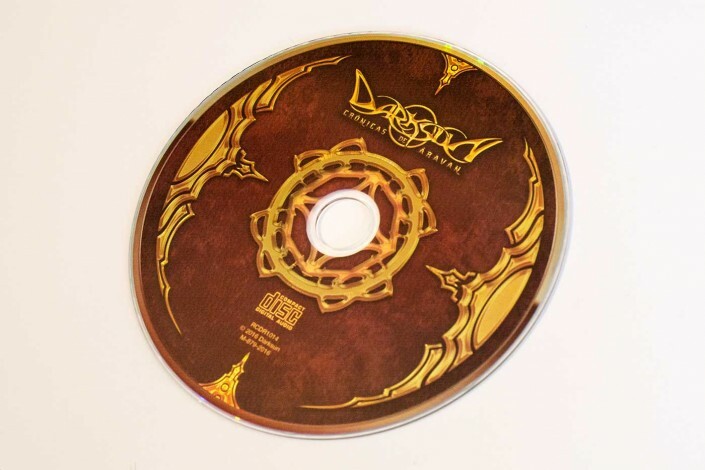 The old songs compile the story of the hero called Áravan and his epic adventures, so we thought that transforming the cd cover and the leaflet into a more powerful item such as a customized ancient and forgotten book was much more interesting than designing an standard fantasy cd cover. 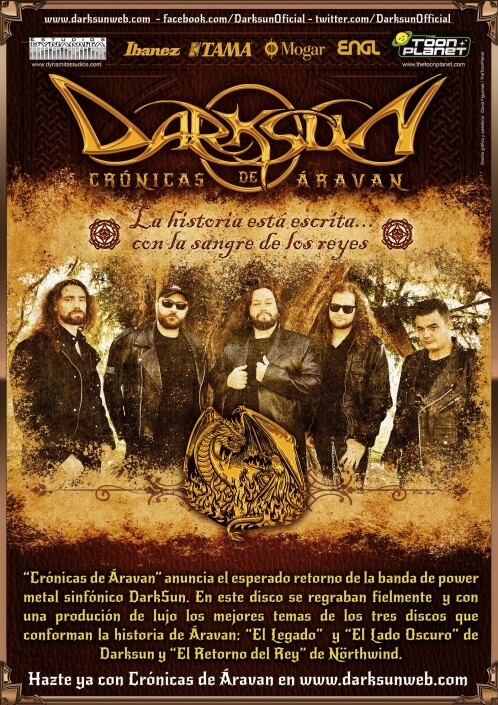 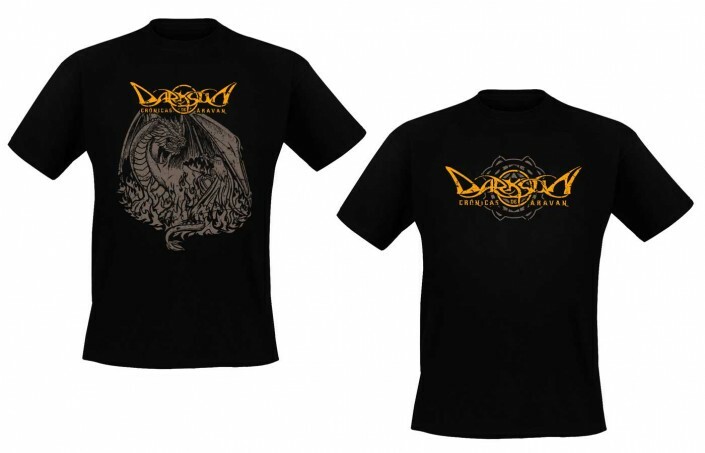 Cover album and design for spanish power metal band Darksun's brand new album: Chronicles of Áravan, a compilation of its best songs of their three first albums. Also promotional posters, web site, merchandising and t-shirts were designed with the Chronicles of Áravan theme.